The team at Markham Dental Clinic believes that everyone looks good in a smile. But after years of stains from coffee, tobacco, and even fruit, some people feel too ashamed to smile fully. We provide whitening services to help brighten and remove stains from our patient’s teeth. Our hope is that the more confident you feel about your teeth, the more often you’ll show your dazzling smile to the world. 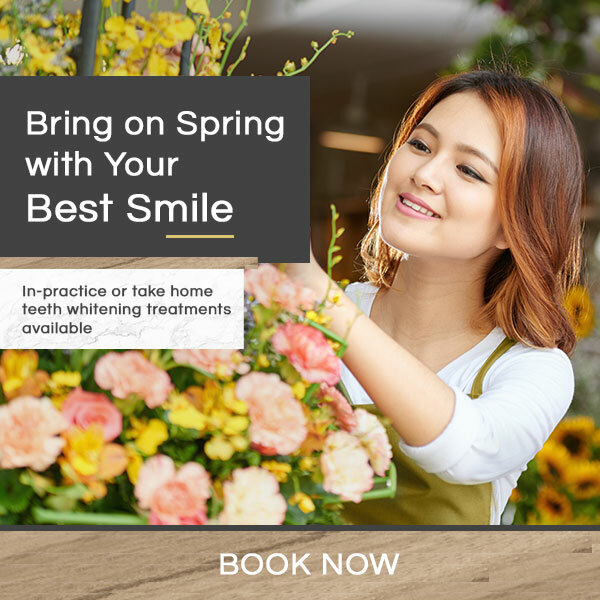 Request an appointment for you teeth whitening consultation. We offer personalized in-home whitening treatments that are specially designed for your mouth. Our team will take an impression of your teeth, which will then be used to create plastic trays with fit over your teeth. Following the instructions, you will fill the tray with a special whitening agent, then wear the tray for the specified period of time. This method is effective, however it does work more slowly than in-office whitening; taking up to two weeks to reach your optimal results. Professional, in-office whitening uses slightly different elements than at-home and over-the-counter bleaching kits. We start by cleaning the teeth to remove any superficial stains. Once it’s time to apply the lightening agent, we use a variety of methods to protect and isolate your gums, tongue, and other oral tissues to prevent any contact. Then we apply the bleaching gel to your teeth, activating it with a light. Some patients’ teeth are up to 8 shades whiter after a single session.